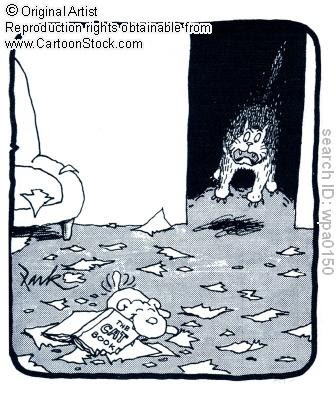 With digital documents, we cannot be under the impression that paper documents do not exist. Sure, many companies are coming up with digital storage for businesses organizations, but that doesn’t mean that you can get rid of the paper documents in your possession right now. We all still have a long way to go. Thus we have got to find a way to keep all our documents organized well. Paper document storage in Abu Dhabi isn’t outdated from any angle. As a matter of fact, these services are helping us in every way. As you are aware, most documents cannot be disposed off for years. How are you going to keep them intact? Where are you going to store them? If you had to dispose them …how would you do that safely? Well, each of these problems can find a solution at a storage facility in Abu Dhabi that provides document storage. Only storage companies know how to manage old paper documents and keep then unblemished. Besides, document storage facilities most likely provide document archiving and management also. Incase you need to get rid of certain documents you can do that too by using the companies document shredding and document recycling services. As far as Abu Dhabi is concerned, a highly skilled document management team awaits you at The Box. We also have state of the art storage facilities at your disposal. You can always contact our record management consultants for more details on our services. Our website: www.storageinabudhabi.com . Information management has and always will be one of the toughest things to handle. Files have been stored and retrieved over the years in an orderly fashion in UAE, mostly because of document storage services that can be found in parts of the country. File storage may seem pretty easy to those who submit their files to such a service. But once your files are stored in place it takes patience, practice and understanding on the part of the experts to yield perfect results when it comes to record management in Abu Dhabi. The pace at which the storage company works determines its efficiency. Lets not forget that time is money. So before you pick a document storage company in Abu Dhabi, inquire about the time they take for file archiving, delivery, pickup, re-filing, etc. Files were generally stored by the box system, which meant that to reach any file you would have to shift an entire box. Now there is this system wherein you just have to place files in alphabetical order on shelves. Shelves make for faster retrieval of files compared to the time consuming stacking strategy. Shelving has indeed made a difference to clients who store medical records in such storage facilities. Insurance and other companies too have finally realized the benefits of a cost-effective service like this. That is why many people trust storage companies in Abu Dhabi now for the safety of their records. The Box also specializes in document storage services in Abu Dhabi. Contact us for more details through www.storageinabudhabi.com . Every year, every home might have a good amount of paper documents to dispose off. If there is not much to throw away we make use of a small document shredder. If we have given up all our documents to be managed by a storage facility in Abu Dhabi, then document shredding can easily be carried out there. The main reason we destroy the documents that aren’t required is because we are concerned about the safety of our identity and finances. What happens after that? Instead of throwing the waste in trash cans, some Abu Dhabi storage companies deliberately take the shredded paper to be recycled, while some keep ‘document recycling services’ as an option. Either way all storage companies contribute towards energy and resource conservation. If you are part of a huge organization, it would only be fair on your part to check if the documents being shredded on-site or at the storage facility are being recycled or not. The idea is to spread the word about recycling for a better future. The benefits of recycling are always valued. Document shredding and document recycling services not only benefit the environment. They can also benefit you as an individual from rising issues such as identity theft and personal security. Storage facilities like The Box in Abu Dhabi make sure that all documents needed to be discarded are destroyed in an appropriate manner, after which customers are provided with a certificate of secure disposal. They also take up the initiative of recycling the shredded paper whenever they have to. 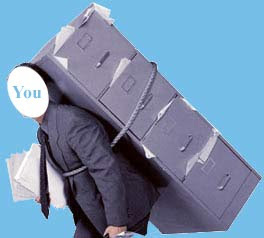 Check out the various document related services they offer at www.storageinabudhabi.com . When you are already a customer of a storage facility in Abu Dhabi, you normally have to use the moving services that the same company provides. This means, that you cannot opt for other better local moving services in UAE, even if you feel like. This only concludes that the storage solution in Abu Dhabi that you primarily choose should have effective delivery or transportation services too. Transportation is one of the main aspects customers are generally worried about, when it comes to shifting goods (especially fragile items) from one place to the other. Therefore, those with The Box are lucky once again, with moving services that they can rely on. No matter where your goods are The Box’s moving services will reach them. Even if you require help in only handle the heavy goods, The Box provides this option as well. Not only that, your trusted Abu Dhabi storage company has designed different packages especially for your moving and removal needs. Full transportation move along with handling, manpower and packing services. 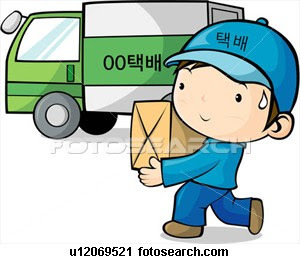 Courier mode transportation which can either be on local or international territory. The moving services are classified within the above 3 packages, thus allowing you to choose which ever one that best suits your need. Packaged deals are always created in the intension of reducing costs. Therefore, moving and relocation in Abu Dhabi turns out to be very cost-effective with The Box.